The Office of Small and Disadvantaged Business Utilization (OSDBU) serves as the Department of Veterans Affairs (VA) advocate, to assist and support the interests of Veteran Owned Small Businesses (VPSB’s). The program allows additional credit evaluation factors for Architect & Engineering Firms teaming with VOSB’s. In addition VA prime contractors can obtain subcontracting credit for VOSBs only when they subcontract with verified firms in Vendor Information Pages (www.vip.vetbiz.gov/). Joined the United States Navy Reserves (SEABEE’s) in 1983. Mobilized in January 2002 in support of Operation Enduring Freedom & Noble Eagle. During his mobilization he traveled to Rota Spain & Plovdiv, Bulgaria where he was assigned as the Assistant Operations Officer of a multi service Joint Task Force and managed two bridge projects totaling over 5 million dollars. Mobilized in January 2008, in support of Operation Enduring Freedom & Iraqi Freedom. 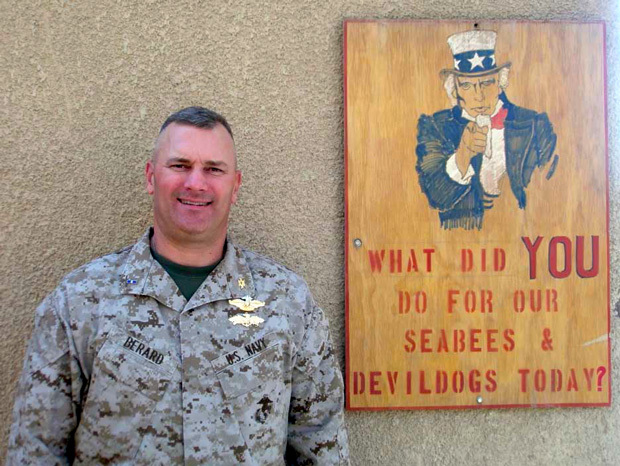 He was assigned to the 1st Marine Expeditionary Force (1MEF) (Forward) at Camp Fallujah, Iraq as the Area Construction Engineer and traveled extensively throughout Ambar Providence, Iraq where he managed and authorized contingency construction projects in excess of 50 million dollars.